hCG is a hormone naturally produced in the body. It has many functions and is used medically to treat a variety of conditions. It is the "pregnancy" hormone, and during pregnancy the levels double every 2 days. This hormone allows the body to mobilize fat and use it as energy for both mother and fetus. This acts as a "fail-safe" mechanism when energy is needed for the baby. In weight loss, only a very small amount of hCG is used to capitalize on this same mechanism. Using hCG in this way does not mimic pregnancy; inf fact, it can be safely used by both men and women. Homeopathic hCG is extremely safe. All women experience very high levels of hCG during the 9 months of pregnancy with no adverse effects. There have been reports of negative side effects with the use of hCG injections, but the minute dilutions in homeopathic drops are safe for virtually everyone. If hCG Works So Well For Weight Loss, Why Don't Pregnant Women Lose Weight? Pregnant women who continue to eat a normal diet will not lose weight despite the high levels of hCG circulating in their bodies. hCG works to mobilize fat for the utilization by the body only in "famine" situations--such as when a pregnant woman is unable to obtain enough calories to support the growing fetus. 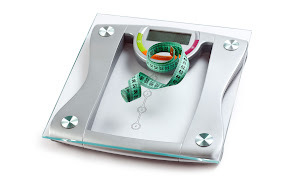 hCG by itself is not effective for weight loss, but a very low calorie diet creates the caloric deficit that allows hCG to trigger the use of secondary or non-essential fat reserves. On average, many lose around 20 lbs per month, or 1/2 lb to 1 lb a day. Men tend to lose more. For women 1/2 lb a day is typical. "Plateaus", or periods of 2-4 days in which no weight loss is measured, are not uncommon. Over the entire length of the diet, however, you should average between 1/2 and 1 lb per day of weight loss. Will My Metabolism Slow Down If I'm On A Very Low-Calorie Diet? Normally when we significantly reduce caloric intake our bodies react by storing fat and decreasing metabolism. This happens because fat is really a lifesaving source of stored energy. When a very low-calorie diet is combined with hCG, the diencephalon is triggered and stored fat is used for energy, eliminating excess fat reserves. 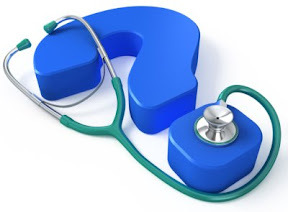 Wouldn't I Lose The Same Amount Eating A Very Low-Calorie Diet Without hCG? You can lose weight by simply eating fewer calories and fat, but because the body stores fat during times of deprivation, you will most likely lose water and muscle mass before non-essential fat. This causes cellular metabolism to slow down, so in the long run, it would make gaining weight easier. You don not want your muscles to waste away! With hA2cg Evolution and the very low-calorie diet, extra fat is mobilized for energy and the rest is eliminated. The VLCD is vital in preventing immediate refilling of emptied fat cells. You benefit by releasing excess fat without affecting your bones or muscle. Will I Get Hungry On This Low-Calorie Diet? Because hCG mobilizes fat and makes it available to the body as an energy source, it naturally reduces appetite. So even though you are taking in fewer calories your body can access the energy it needs from your fat cells. In addition, the hA2cg Evolution formula has ingredients selected to help control cravings and reduce appetite. After about 2 days on the hCG Diet, many notice a significant decrease in their appetite. Overall, most people have plenty of energy and feel good while on the program. Does The Weight Loss Slow Down After The First Month? The weight loss is fastest during the first weeks, and then slows down gradually after that. The body will plateau or level off after 3-4 weeks. This does not mean that your weight loss has stopped. Typically, inches are being lost continuously through out the program. Weight loss is usually achieved in a stair-step fashion. You may lose, and then level out for a few days while the body is rebuilding and restructuring your cells and tissues. This helps prevent sagging tissues from the large weight loss. There Are No Breadsticks In Your Recipes. Can I Please Include Them And Meet My Weight Loss Goal? Many clinicians have found that a large percentage of people don't do well with breadsticks or Melba Toast on this diet. They prefer most of their patients avoid them all together. 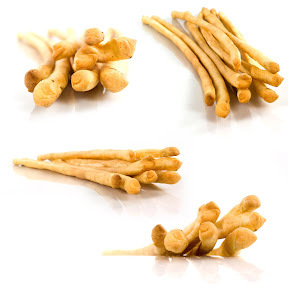 For Lunch and dinner: One Grissini breadstick or one Melba toast. The Fruit or the breadstick may be eaten between meals instead of with lunch or dinner, but not more than 4 items listed for lunch and dinner may be eaten at one meal. You may break up two meals, for instance, have a breadstick and an apple for breakfast or before going to bed, provided they are deducted from the regular meals. The whole daily ration of 2 breadsticks or 2 fruits may not be eaten at the same time, nor can any item saved from the previous day be added on the following day. The diet used in conjunction with hCG must not exceed 500 calories per day, and the way these calories are made up is of utmost importance. For instance, if a patient drops the apple and eats an extra breadstick instead, he will not be getting more calories but he will not lose weight. There are a number of foods, particularly fruits and vegetables, which have the same or even lower caloric values than those listed as permissible, and yet we find that they interfere with the regular loss of weight under hCG, presumably owing to the nature of their composition. Pimento peppers, okra, artichokes, and pears are examples. DesBio's Detox program is a full-body detoxification, drainage, and physiological regulation program designed to optimize all major organ functions and systems related to cleaning and detoxifying the body. The Evolution Weight-Management Kit includes all the homeopathic and nutritional formulas necessary for your patient to complete the 23-Day Diet Option of the Evolution Weight- Management Lean-Body (500-Calorie) Protocol. DesBio's groundbreaking homeopathic product, hA2cg Evolution, contains two bioidentical active amino acid chain groups that are naturally found in human chorionic gonadotropin. By providing a clearer and more concentrated message to the body, these two amino acid chains together with the 21 focused and supportive homeopathic ingredients in hA2cg Evolution optimize the outcome of the practitioner supervised Evolution Weight-Management Program.